MPs have spent more than £1,000 buying personal information about people in Wakefield during the past six years. 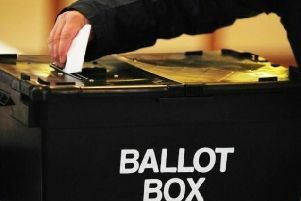 A Freedom of Information (FOI) request revealed that unnamed Parliamentarians have been routinely buying details from the electoral roll since 2012. By law, local councils are obliged to sell data collected from those registering to vote, if they are approached. It has emerged that Wakefield Council has sold more than £26,000 worth of data during the past six years. The vast majority of that was spent by credit companies, who are legally allowed full access to the register in exchange for cash. But MPs and individual councillors, who can purchase limited amounts, have also bought people’s details. However, even though the buyers can keep people’s names on file, the MPs and other individuals have been kept anonymous on documents released under the FOI request. Campaign group Privacy International called the situation “extremely concerning”. Frederike Kartheuner, who works for the charity, said that personal information in the UK was still under-regulated, despite the recent changes to data protection laws. She said: “People’s most sensitive information is up for grabs: your race, your sexual orientation, your political beliefs, your health and your finances. “From foreign governments, to political parties, scammers and fraudsters, we know that this data can – and will be used against you. The offices of all three MPs in the Wakefield district were approached and asked if they had ever bought any personal details from the council. None of them responded. Political parties also got access to the local electoral roll. Both the Labour Party and the Conservatives spent more than £700 each. The Liberal Democrats, despite no longer having any elected representatives on Wakefield Council, bought £54 worth of data.